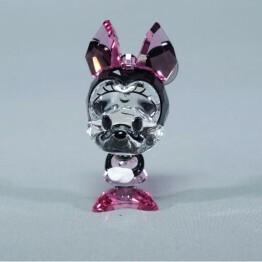 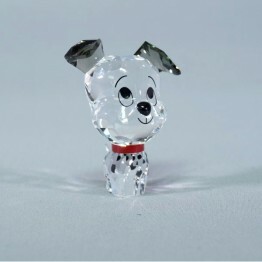 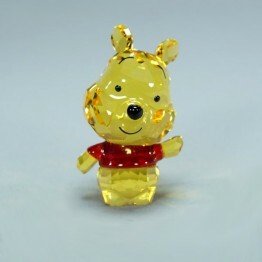 Inspired by the famous Disney characters, Swarovski has also produced Cuties! 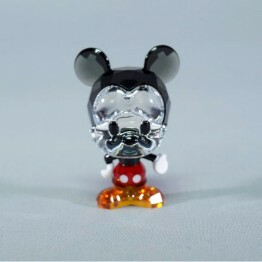 Disney Cuties is a character marketing franchise depicting stylized caricatures of well-loved classic Disney characters featured as having enlarged heads and eyes, and often smaller bodies as well, for enhanced "cuteness". 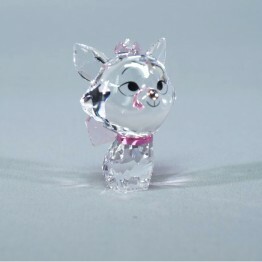 Characters include the classic depictions of; Mickey and Minnie Mouse, Winnie the Pooh, Dalmation Lucky and Aristocat Marie.